The chilean rose hair tarantula is a relatively large, hardy, docile and yet colorful arachnid. the rose hair is a type of spider with its source habitat being the Chilean desert. It can also be found in Argentina and Bolivia. Known as Grammostola Rosean in the scientific circle, this species of spider is the most common type of tarantula you can find in pet stores in European countries and North America. 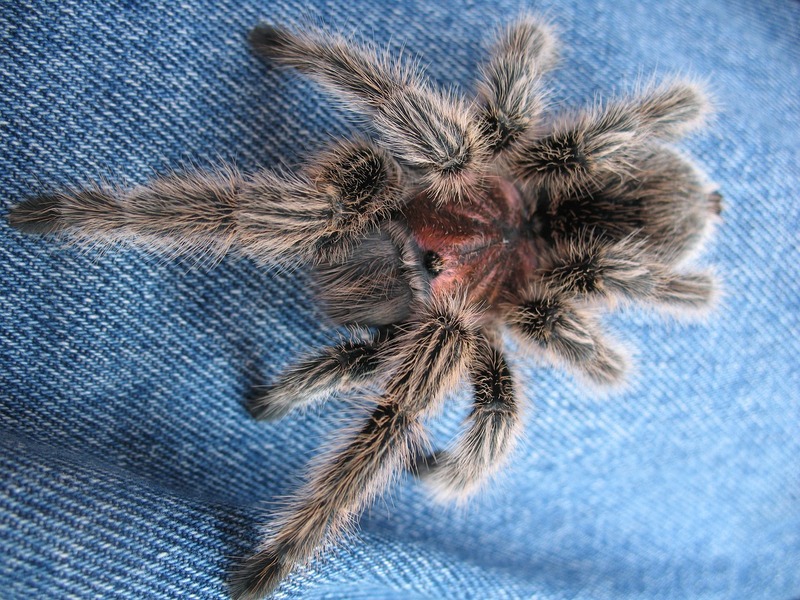 Rose Hair Tarantula color can range from reddish brown color to grey or even pink. The spiders are usually between 4.5 to 6-inch leg span. In the wild female rose hairs live between 15-20 years with males only living 3-10 years. In captivity females can live beyond 20 years (although the average is 12 years) but the males don’t tend to make it past 2 years. 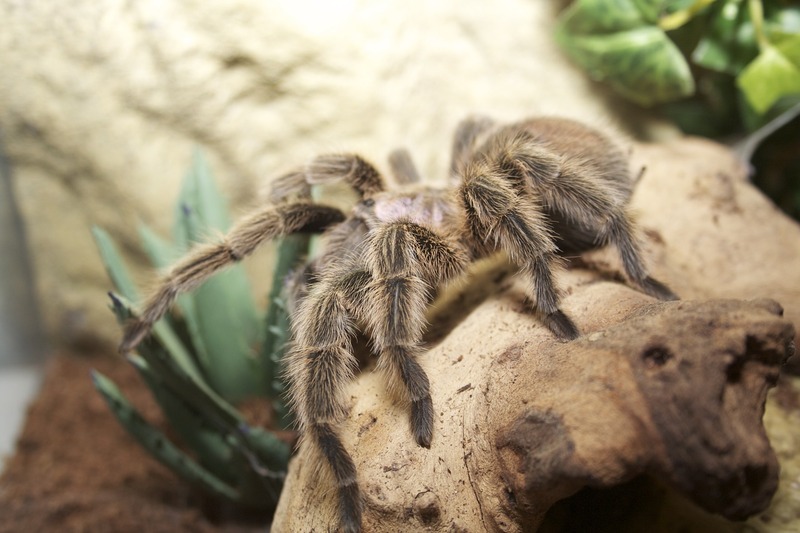 More people are embracing rose hair tarantulas as pets. Taking care of a Rose Hair Tarantula is pretty simple and not too demanding. The arachnid is also not dangerous which explains why they are very popular in European countries, the United States and Canada. Rose Hair Tarantulas are found in desert and scrub / dry grassland regions of three countries; Chile, Bolivia and Argentina. To avoid the hot sun usually experienced in the desert, this species of spiders dig burrows and hide the during the day. It was long believed that the Rose Hair Tarantula were wandering spiders, however significant numbers of the species have been observed living their lives in burrows. These spiders feed on grasshoppers, beetles, small lizards, amphibians, small mammals like rodents and also young snakes. They also feed on other spiders. The rose hair is a nighttime hunter which by dawn will find a suitable shelter to ‘web’ itself into to live out the day. Various nocturnal predators including reptiles, large mammals and other tarantulas. Certain species of wasps sting the rose hair, the effects of which last several moths while the wasps offspring use the tarantula for feeding. 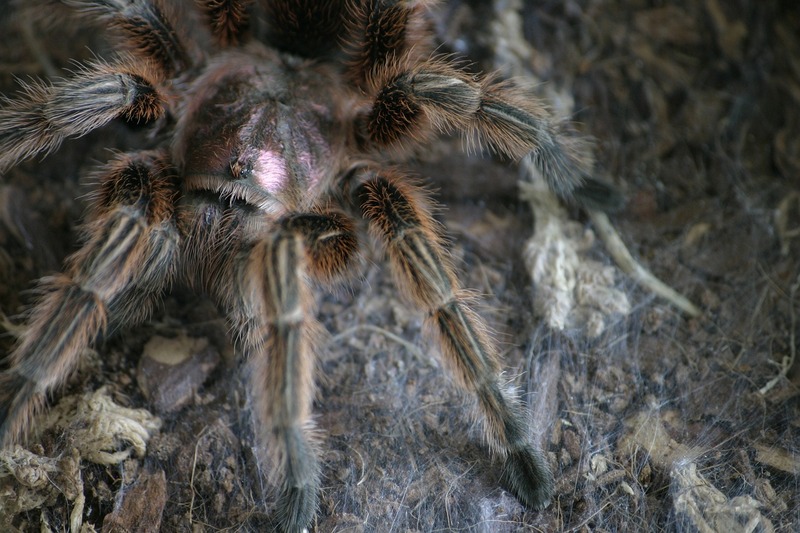 Rose hair tarantula is one of the few creatures that don’t eat too much. In captivity or the zoo, the arachnid can be fed with crickets. Offering too many insects at a time can make them feel intimidated. Rose hair tarantulas have been known to withstand temperatures as high as 120F, especially in the Atacama Desert. The ideal temperature range for these spiders is 75-90 F.
Rose hair tarantulas are very docile and tolerant. They can be easily handled though they can bite especially when stressed up. Their venom is not strong though it can produce some minor itching, burning and pains. Decorations like rocks, sticks, live or fake plants can be used as additional decorations. In captivity these spiders do not tend to burrow.